As SEOs, we buy a lot of domains (for money sites, client sites, and PBN purposes), we build a lot of sites, and we manage a lot of sites. How nice would it be if we didn’t have to also regularly RECOVER a lot of sites if / when they get de-indexed? I’ve been trying and testing site-building best practices for a bunch of years now, and I am now going to hit you with my “To Do” list of things I think you absolutely need to do in order to keep yourself from going to Google jail. We all know this in theory, but do we really do it enough? Before you buy a domain, you NEED to run it through several safety checks, using Moz, Majestic, SERPed.net (my favorite), or whatever analysis tool you feel gives you solid information about your potential purchase. Of course you know to check for things like links from “bad neighborhoods” like pills or adult sites, crazy foreign backlinks, or signs of over-optimization from SEOs who maybe didn’t know what they were doing, but now I’m going to add another factor that is important to the health and well-being of your network: context. If you’re trying to power up a weight loss money site, make sure that the site you’re about to buy has something to do with Health and Fitness. 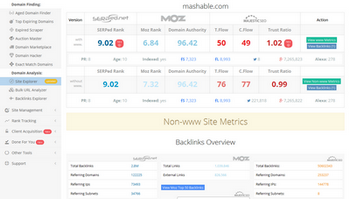 Make sure that the backlinks going to that site are also related to that topic. You’re not just looking for “spam” or “not spam.” You’re looking for actual links (preferably as high authority as possible) that pertain to that site’s topic / category. The bottom line: it is absolutely fine to buy an expired / deleted / auctioned domain. You should keep doing this! It is also fine to leverage this domain’s power to help boost your rankings (or to repurpose this domain if that’s what you want to do). HOWEVER, if you think you’re going to be able to do this without performing at least a cursory analysis of that domain’s backlink profile as well as determining what Google thinks that site’s context is, it is only a matter of time before that site loses power / gets de-indexed, at which point it is basically worthless and your time and money will have been wasted. Hopefully your brand new domain will still be indexed when you get it. Assuming that it is, we recommend getting it on hosting and running a WordPress installation / setting it up the very moment you have access to it. The last thing you want is for a domain you paid (possibly big) money for to sit there for a month or two (or six) with no activity until Google notices it. If you have a backlog of sites that need to be set up, GET ON THAT RIGHT NOW. Put “set up one site” on your to-do list every day, hire a VA, or spend a marathon weekend getting caught up. Ideally you’ll start having sites up and running right after you buy them, which is the whole point, right? Here goes: you need to be putting relevant content on your sites if you want to keep their power / authority and extend that power / authority. Gone are the days when you could buy the website of a now-defunct restaurant / bar in Toledo and turn it into a high-powered source of Health and Fitness backlinks. In fact, I have to say I am a little shocked that this EVER worked for PBNs, much less money sites. It is time for you to go through your network and analyze each site to determine what Google thinks that site should be about, then go to each site and put some relevant content on there. I’m not saying you have to go to Wayback and put the original site back up (although this is not a bad idea and there are some excellent tools make that possible), but you owe it to the health of your network to keep the original context intact. If that last paragraph (about context) angered you, this next one is going to push you over the edge. The content on ALL of your sites should be high-quality. In fact, it should be content that Google would index. Think about it: Google includes sites in its index based on traffic, bounce rate, and a bunch of other factors, all supporting their mission statement of making the internet awesome. Are they more or less likely to come after one of your sites if it has an article that is attracting actual people who are reading it all the way to the end? Following this logic, Big G is less likely to notice (and possibly de-index) your sites if they are of actual quality. Take the time (or pay the money) – get some excellent articles / blog posts on there. The more real people are going to your site, the less Google will be to banish that site to the Website Boneyard, where you will have to dig it up and revive it. If you’re not a great writer, use a service like GreenLightArticles.com or UpWork. Also, be SURE to run all articles you pay for through Copyscape and / or Grammarly (preferably both) to make sure they are actually original and well-written. Here’s a fact – if you leave your site for a long period of time and don’t update it, it might get hacked (this is especially true if it’s a WordPress installation, but it can happen to any site that has old code). If it does get hacked, it is more likely to be de-indexed (or get the Google “red screen of death,” which is also going to take away its power), and this is bad for you, your money sites, your client sites, your PBNs, and your wallet in general. Websites are not a “set it and forget it” situation anymore, meaning you need to be logging in regularly, updating themes and plugins, and posting content. If you don’t feel like you can do this, hire a VA to do it for you, or get a service like Network Crusader so you can make the updates all at once. Seriously! 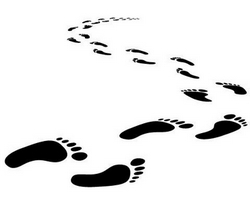 Do not skip this step! 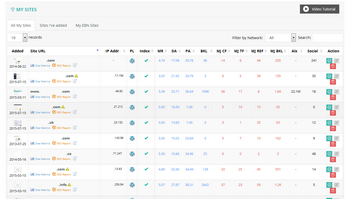 Your domains are an asset to you, and you don’t want to lose them (and eat up your time dealing with cleanup). This is especially true if you don’t find out about the hack for two or three months, in which case your site is almost GUARANTEED to be de-indexed (and possibly kicked off of its hosting service). We can probably all agree, it makes no sense for a site (for example, a PBN site) to have great backlinks / social signals from a long time ago, then absolutely no social activity starting from whenever it expired / was deleted. If you don’t belong to a network where you can exchange social signals (to keep yourself anonymous), find a reliable Fiverr provider to send some social signals to one of your (excellent) new blog posts, get a service like Social Explosion to regularly send social signals to your site, or use another method. This is a “given” for client sites and money sites where the social media accounts are set up as a matter of course, but is often overlooked when it comes to PBNs, so add it to your list. – Vary your plugins – Gregory Ortiz (PBN Master) recommends using plugins that have tens of thousands of other users (like the All in One SEO Pack) to avoid getting nailed for using one obscure plugin over and over. I will also add – vary up your use of the popular plugins across your network, because a footprint can also be created from using the same SET of plugins, even if those plugins are super-popular. Not hard to accomplish, just an extra step. For example, alternate All in One SEO Pack with Yoast SEO. Alternate LinkJuice Keeper with Backlinks Saver, and so on. – Vary your themes – I’m sure you’re doing this anyway, but it’s also worth a mention. Make sure every one of your sites doesn’t have the exact same theme (or even set of themes). Switch between free and paid. Switch between default and specialty. Oh, and while we’re on the subject, go back to # 3, determine what the original intention / use was for the site and pick a theme that goes with that. – Vary your content – I already made this point, but I would be remiss if I didn’t reemphasize: DO NOT put duplicate content on any of your sites. Personally, I don’t use spun content at all because I think it sounds weird, but if you do, make sure you read through every article to make sure it is different enough that it doesn’t get red-flagged. 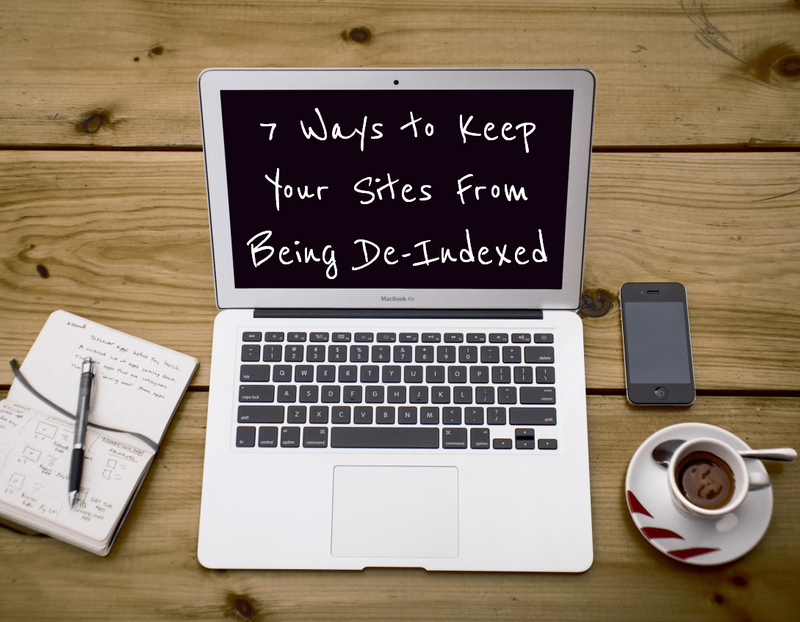 Next time, we’ll talk about what you can do if your site does happen to get de-indexed, but using these steps will make that much less likely. And with that, go forth and build quality websites! Lori Culwell, founder and president of Get Creative, has worked on some of the best-known websites in the world. She does internet marketing and SEO, and is the author of six books. You can reach her on Twitter and at LoriCulwell.com. If you see strangely-packaged food or weird signs, please send them directly to her.